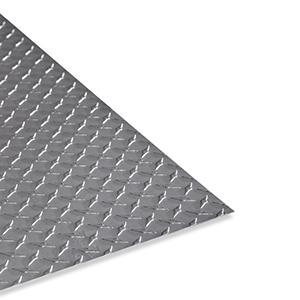 Aluminum Diamond Tread Plate 3003-H22 Bright is a sheet product with a raised diamond pattern and a bright shiny finishes for decorative and non-skid applications with a bright decorative design which is easily cleaned. The great shine of 3003-H22 Aluminum Diamond Plate adds sparkle, along with durability. also known as: Aluminum Diamond Plate, Aluminum Tread Plate, Tread Bright, Aluminum Floor Plate, this highly reflective, economical product is widely used in decorative, cosmetic and architectural applications. With a good forming, drilling & welding ability, Aluminum Diamond Plate 3003-H22 is easy to fabricate and its raised diamond pattern provides good slip resistance and walking stability. 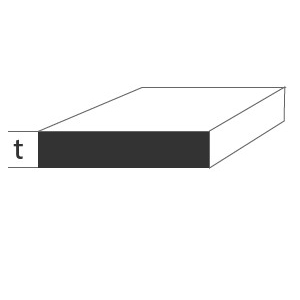 Application and uses of Aluminum diamond tread plate 3003-H22 bright are: extensive product use as scuff plates, running boards, and mud flaps for fire engines, ambulances, fire trucks, trailers and toolboxes, recreational, and four-wheel-drive vehicles.